Change is hard, and no one likes to feel dumb, especially when it involves communication tools. When using a communication tool, you’re exposed to colleagues and customers and making mistakes impacts your reputation and credibility. Now, mistakes do happen to everyone, and most people are forgiving. But if there was something we could do to prevent them - we’d do it right? Planning, preparing and practicing for change are three important ways to reduce frustration, mistakes and errors. Adding change management will set you up for confident communication and a great experience for your team. The first section will walk you through the basic steps to setup the services to work together. The second section “Change management, or getting your team ready” will identify some of the steps you can take to make change less painful. Read through, take what works for you and adapt it to your particular company culture. The first step is to head to www.softphone.com and sign up for an account. 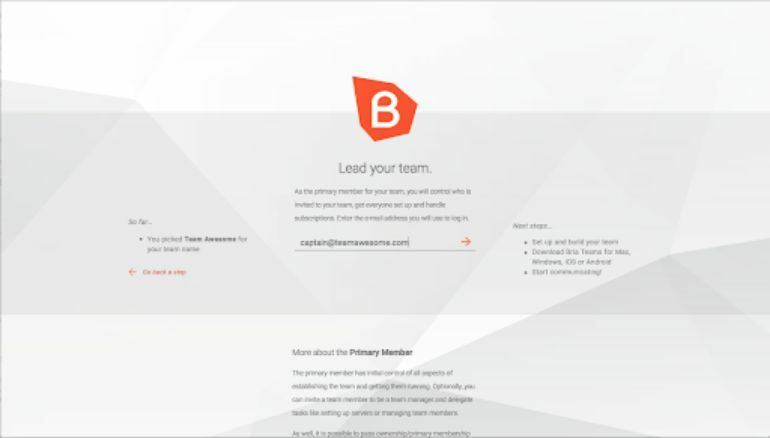 As the brave, intrepid leader of your team, you’ll need to enter your email address and click the arrow. 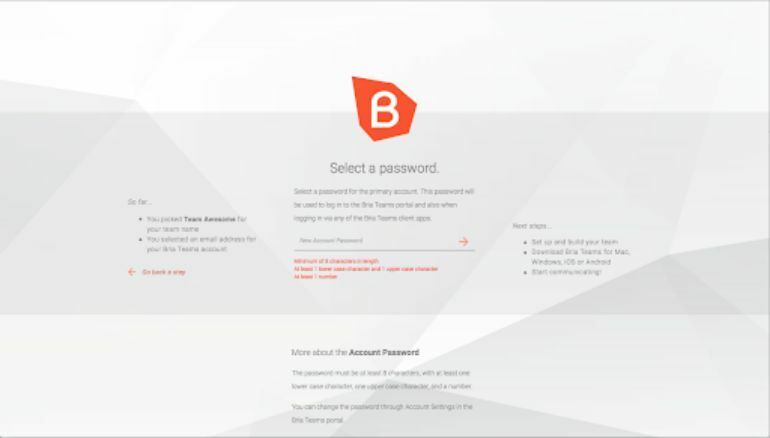 Lastly, you’ll need to pick a password. Don’t worry, we’ll coach you through it and make sure it is strong and robust, just like you. You’ll need to use at least 8 characters, a lowercase character, and uppercase character and a number. That’s it - you’re now logged in to Bria Teams. The next step is to tell us your name. You can show off your good looks by adding an avatar or photo of yourself. Click on the upload arrow on the default avatar and select an image from your photos. Now that you’ve fearlessly found your way through that process, it’s time to invite your team to follow you. 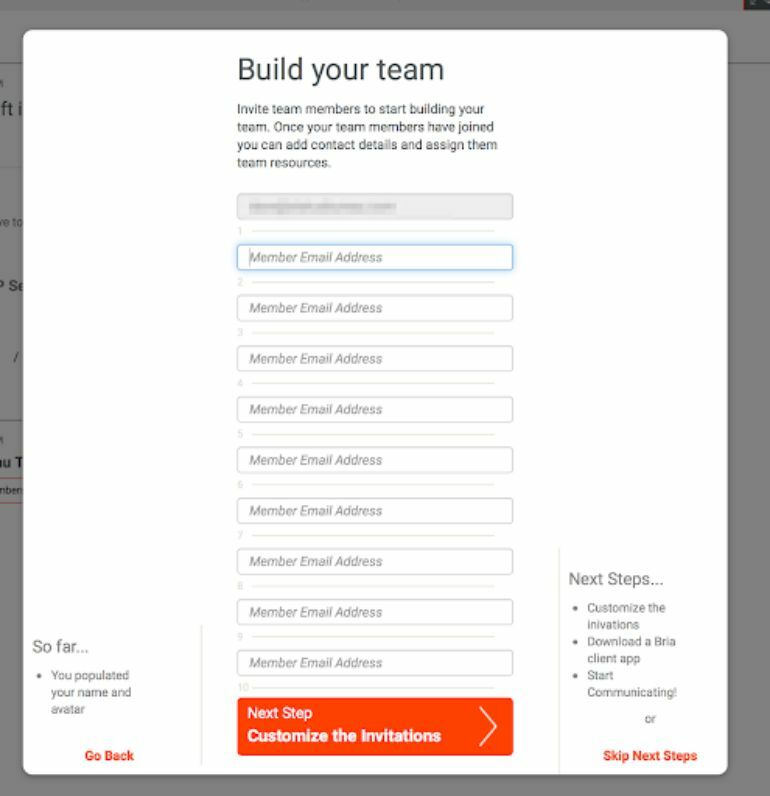 Add their email addresses, and you’ll get a chance to create a rousing opening message to encourage your team to join you. 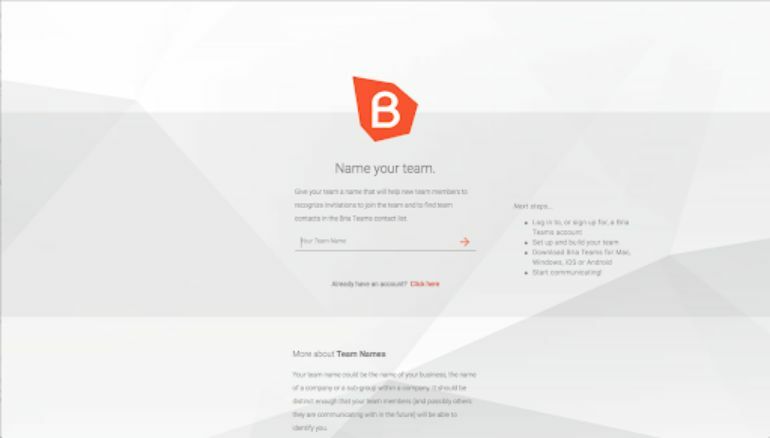 That’s it - you’re set up and ready to try out the features of Bria Teams. 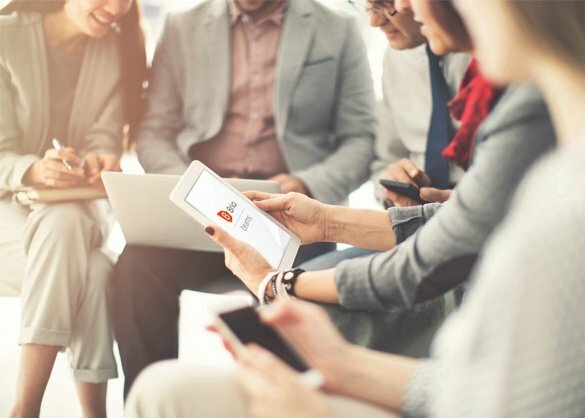 You can connect with your team, send messages, see if they’re online through presence or spark up an audio or video chat. You can download the iOS or Android apps, as well as download the desktop app to get going. Once you’ve done the heavy lifting of setting up online, all your settings and preferences are picked up on your mobile app available with a simple log in. Stay tuned for Part 2, where we'll discuss connecting with the outside world.